Meet our tireless and talented staff. 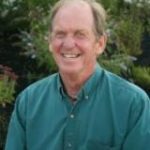 PJ Richardson was hired in 2019, having previously been the Chief Development Officer for YMCA Cape Cod. PJ’s strong background in youth development, environmental education, adventure programming and community outreach makes him a perfect fit for PBCB. PJ is a devoted husband and father of 4. Pleasant Bay Community Boating is proud to announce longtime Harwich Harbormaster and party boat captain Tom Leach in the new salaried position as Waterfront/Sailing Director. Leach will replace retiring Greg Kelly who brought the program from the shores at Jackknife Harbor to its new campus setting along the bluff on the western side of the Bay. 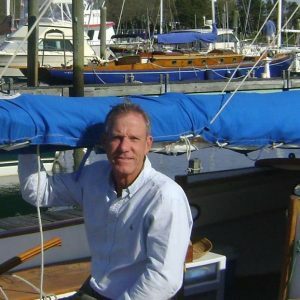 With the expectation of the Floating Classroom Research Vessel being donated by the Friends of Pleasant Bay, PBCB trustees saw Tom’s unusual background as a fully licensed captain with sailing and towing endorsements, competitive sailor in J/24’s and Flying Scots, and 12 years as co-coach for the Harwich Rough Riders a great fit for its sailing and science program. He is a member of Guild of Harwich Artists and hopes to bring plein air art along with boating safety certification classes to PBCB. He holds a BS in Chemistry from Tufts University. Leach served the Town of Harwich as Natural Resources Director/Harbormaster for nearly 40 years. In that time, he sought more than a dozen grants and a myriad of permits for waterways improvement and dredging projects. The last and largest was the $1 million grant to replace the Town Pier at Wychmere came after his retirement in 2012. He is married to Jackie Leach a retired Harwich school adjustment counselor. They live one mile from PBCB. He pioneered the first public shellfish upweller system in 1994 at Wychmere, where Harwich students seasonally intern to raise millions of quahogs and oysters while learning science behind water quality and the life that grows in it. After acquiring two pumpout boats and equipment he submitted and the Town was awarded a successful Federal No Discharge Area in 1998 making Harwich the fifth FNDA in the state. 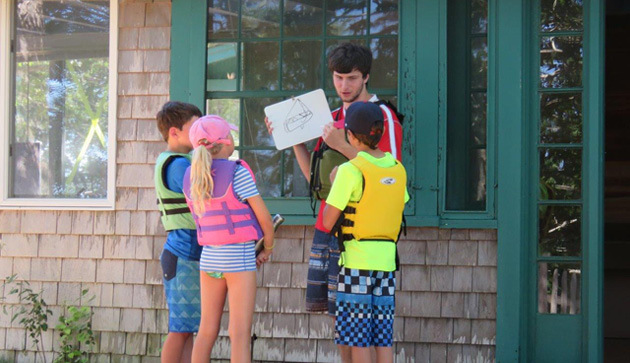 He designed the successful Cape Cod Frosty racing dinghy that has six active fleets and is the basis of the youth build-and-sail program at Sail Maine, Portland Community Boating. He is a certified welder, is a past president of the Cape & Island Harbormasters Association and Cape Cod Astronomical Society, and holds a General Ham Radio operators license. Science Director: Sarah Griscom, Ph.D.
Sarah grew up in California and was fortunate to spend summers with her family in Chatham, sailing and swimming almost daily. She learned to sail in a wooden Spaulding Dunbar catabout, then moved on to fiberglass Sprites and Daysailers, and then to her souped-up 470. During her Cape Cod summers, Sarah came to love the edge of the sea, searching for unusual shells on the wrack-line, testing the limits of the surf, scuba diving on the remnants of shipwreck Pendleton, and exploring remnants of older wrecks exposed in the dunes. Sarah studied Earth and Marine Science at the University of California Santa Cruz, where she earned a BS. She worked for the US Geological Survey Marine Geology branch for eight years, spent two years+ on research vessels, and when in port, participated in public education outreach activities. She returned to graduate school to complete her PhD in Coastal Oceanography at Stony Brook University, focusing on how stable and radioactive contaminants accumulate in mussels and clams. Since then, she has worked as a research fellow at the Harvard School of Public Health, collaborated with the Institut de Radioprotection et de Sûreté Nucléaire (IRSN) in France, taught undergraduate oceanography as an adjunct faculty member, taught high school sciences, and gained her MA teaching certificate in chemistry. She is certified as a LEED AP for sustainable building, teaches courses in green energy, and currently works part-time with the Town of Chatham as a water quality scientist. She joins the PBCB community to work side-by-side with those dedicated to making community sailing and hands-on marine education accessible to all. She was named PBCB’s Director of Science in 2016. Huntley Harrison has been involved with PBCB since 2010, as treasurer, board member, and property manager. Huntley grew up in New York City and has lived on Cape Cod since 1999. His educational background is in mathematics, with a Bachelor of Science degree from Hobart College and a Master’s Degree in Instructional Technology from Bridgewater State University. He was a teacher for 30 years at Blair Academy, a co-educational boarding school in New Jersey; and he finished his teaching career serving 14 years at Chatham High School, retiring in 2013. Huntley’s involvement at Pleasant Bay Community Boating expanded to that of treasurer and project manager when PBCB purchased the McClennen property in 2014. He now ably serves as property manager and bookkeeper for our facilities and operations. He is involved outside of PBCB as the Chairman of Chatham’s Cable Advisory Committee, and he is the producer of Chatham Today, a monthly cable TV program. He is also on the Chatham Airport Commission. Huntley is wholly dedicated to PBCB’s mission and the sense of community and accessibility we are creating on Pleasant Bay. Abby grew up sailing with her grandfather out of Quisset Harbor in Falmouth and exploring the lakes and rivers of Maine by canoe and kayak. She brings her commitment to exploration and the outdoors to PBCB and is passionate about marine education and affordable sailing opportunities for local families. In addition to being a classical pianist, piano teacher, and mother of three, Abby has owned a natural-light photography studio and worked as a photo journalist. She makes time to be on the water as much as possible. In her work at PBCB, Abby values being part of the community that PBCB brings together, people who love being on the water and who want to learn to take care of our waters. 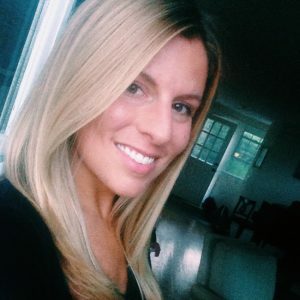 Abby has studied with the New York Institute of Photography and the Institute for Integrative Nutrition, as well as studying and performing throughout New England as a pianist.